A Cooperstown camping trip pairs relaxed outdoor settings with convenient locations. Which means you can roast s'mores over a bonfire, catch zzz's beneath twinkling stars, and arrive at the ballpark in time for first pitch! 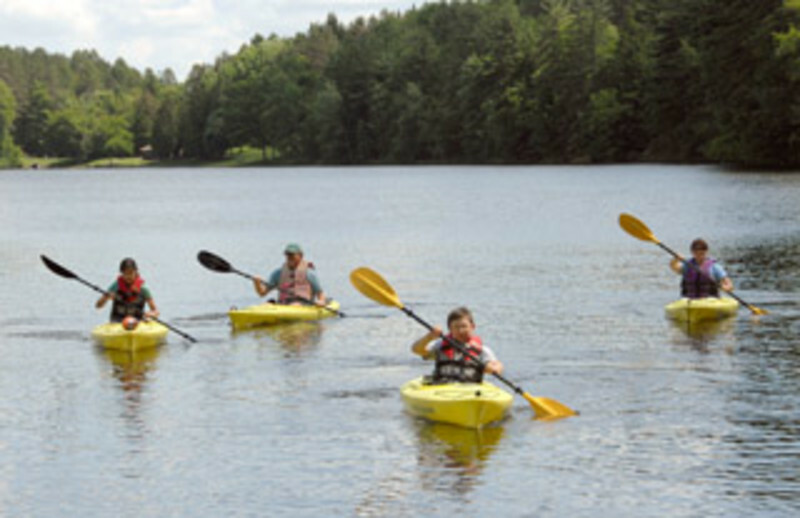 Cooperstown/Ostego County campgrounds offer easy access to top Cooperstown attractions and adventures. At Meadow-Vale Campsites, choose from 110 campsites, then play disc golf on-site or explore 12 miles of hiking trails at neighboring Gilbert Lake State Park. For quick access to the National Baseball Hall of Fame, head for Cooperstown Beaver Valley Cabins & Campsites. Make basecamp with your tent, RV, or rental cabin, then cast a line for bass in the fishing pond. 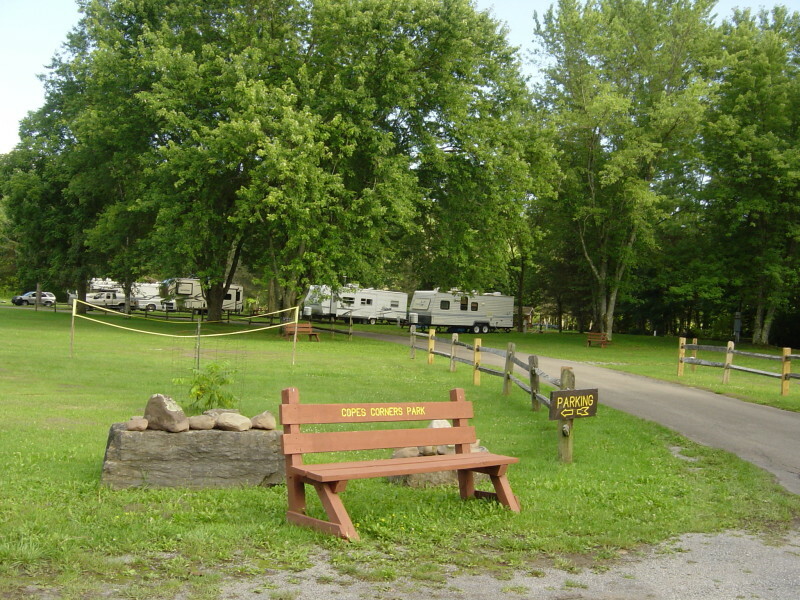 At Cooperstown KOA, accommodation options range from RV hookups and cabins to tentsites to cabins and a lodge. 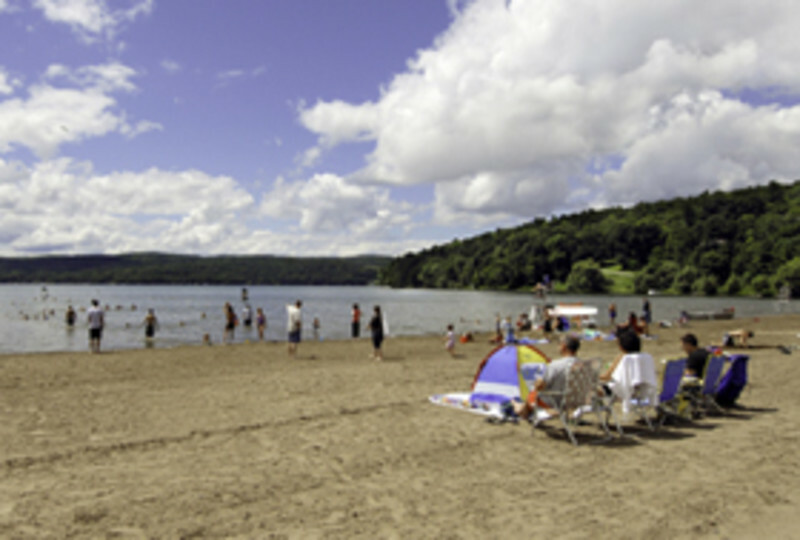 On hot summer days, the family can cool off at the KOA's pool or make the short drive to Glimmerglass State Park to catch rays on sandy beach and take a dip in Ostego Lake. 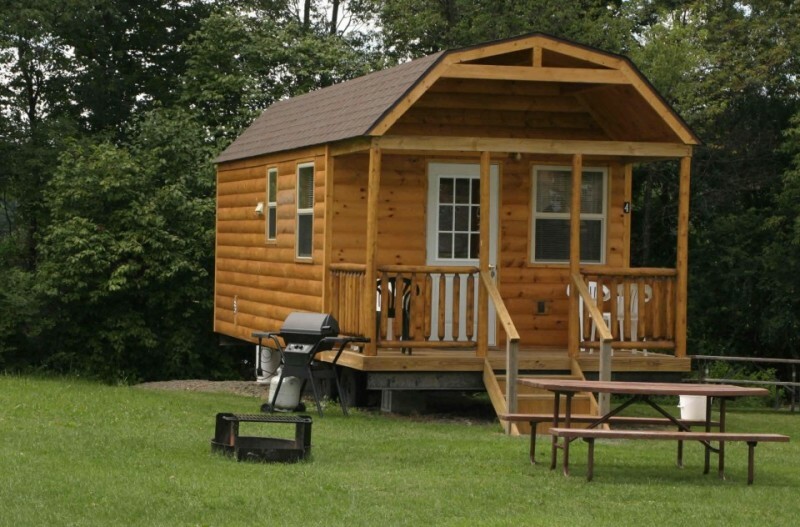 Whether you plan to stroll the banks of the Susquehanna River in Unadilla or soak in the Sulphur springs in Richfield Springs, there's a Cooperstown/Ostego County campground close by. 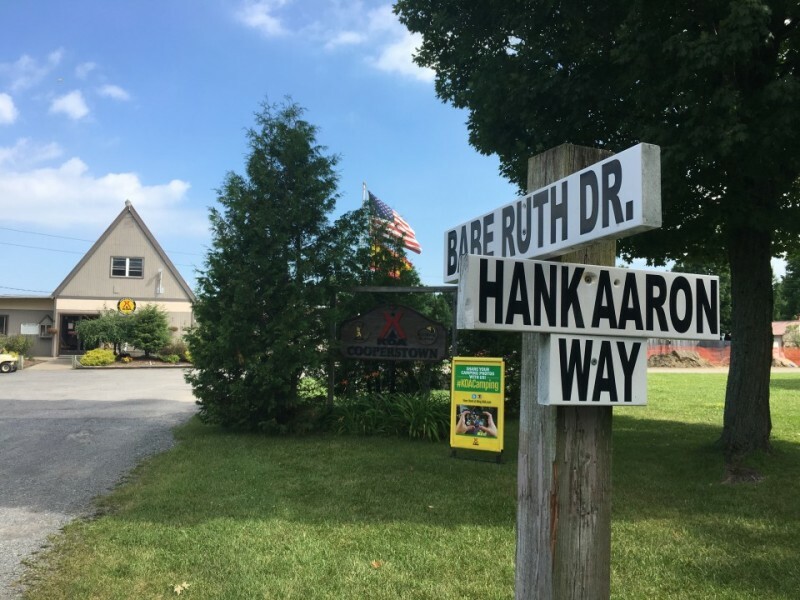 If your ideal Cooperstown camping vacation features shady forest or rolling fields, full hookup sites or dining al fresco at a picnic table, campgrounds offer those amenities too. Bring the family, or gather your friends, and load the car with sturdy hiking footwear, cruiser bikes, rods and reels, fully stocked coolers, and a page-turning summer read. Then relax, and enjoy the fresh air and friendly faces that make Cooperstown camping unforgettable. Look below to find the best campsite for you. When taking a break means getting closer to nature, look here for Cooperstown and Otsego County camping options. Bring your tent for a shady spot beneath the trees. Book a rustic cabin close to a shared pool or ball courts. Or steer the RV to campgrounds for a solitary retreat with full hook-ups. Included at every campground: fresh air and family fun.